There is a monster event at Bilston Craft Gallery as dinosaurs are celebrated with a fun-packed family day on Saturday May 27, from 11am - 3pm. 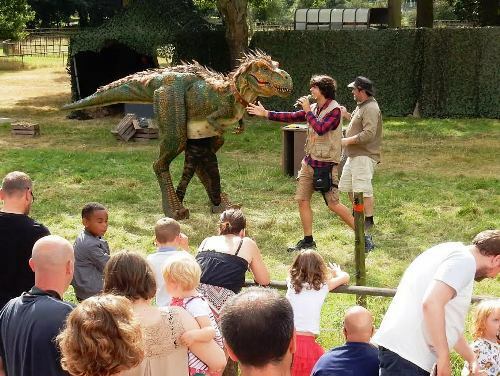 Visitors will meet a terrifying life-like T-Rex and find out lots of fascinating dinosaur facts with the amazing Dr Fossil. The special event has been organised to celebrate the gallery's current Discover Dinosaurs exhibition featuring Beaky, Tiny and Barry, the pet names for the huge dinosaur models on show. Among the other popular exhibits in the current show is Stan - a model of a T-Rex skull measuring almost two metres long - and Tiny, a not-so small animatronic baby T-Rex which hunts for a herbivore creature as it would have done when creatures like it walked the earth millions of years ago. Barry the Baryonyx gives visitors the chance to learn about one of the largest fish-eating dinosaurs. Its crocodile-like head and dangerous claws made it a master hunter of rivers and lakes about 130 to 125 million years ago. Flying above the gallery space is a two metre-long head of Beaky, a Pterosaur, a reptile that soared above the land more than 200 million years ago. Fast-forward to the Ice Age and meet Fluffy, a full-size mammoth which towers above the other models. Entry to the Discover Dinosaurs exhibition is free and it runs until August 13. 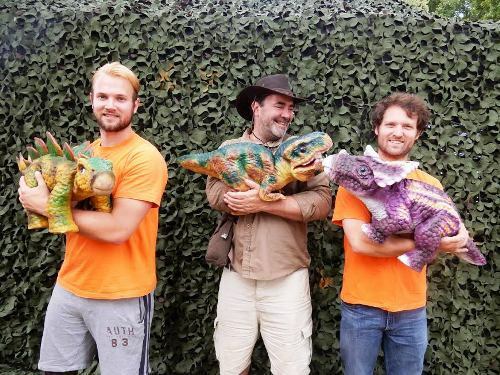 Tickets for the Dinosaur Family Fun Day costs £5 per child (includes one adult) and £2.50 for adults. Free entry for children aged under two. Marguerite Nugent, Manager for Arts and Culture, says: "The Discover Dinosaurs exhibition has already attracted hundreds of visitors. 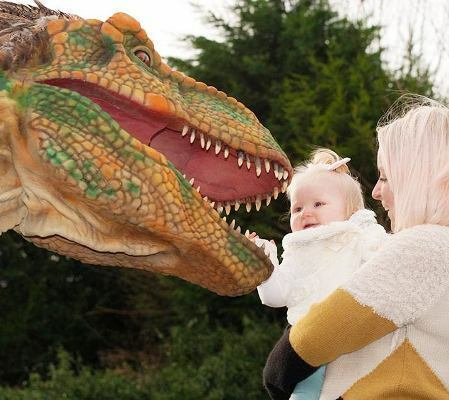 This Bank Holiday weekend family fun day features an amazing T-Rex model, which comes to life, as well as lots of great child-friendly activities." Bilston Craft Gallery, in Mount Pleasant, is open Thursday to Saturday from noon to 4pm.